While one third of food produced in the world is wasted, millions of people stay hungry everyday and live in constant food insecurity. 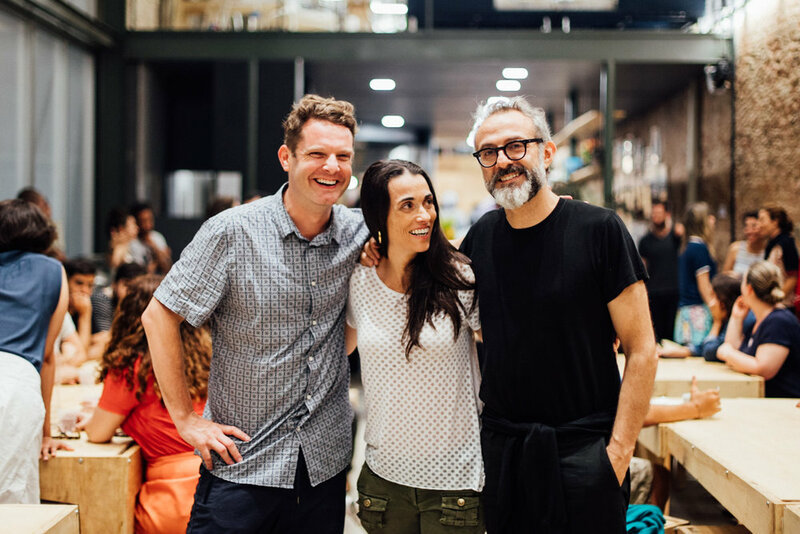 Refettorio Gastromotiva is an initiative brought to Brazil by chefs Massimo Bottura (Food for Soul), David Hertz (Gastromotiva) and by the journalist Ale Forbes to contribute to fighting food waste, malnutrition and social exclusion. Refettorio - in latin Reficere - means recuperate and restore. At the Refettorio Gastromotiva recuperating food is just as important as promoting and restoring the dignity of people. Refettorio Gastromotiva brings nourishment, culture and dignity for all, in a place full of art. Launched during the olympic games, it became a legacy for the city. It works as a restaurant-school with invited chefs and young talents from Gastromotiva cooking with surplus ingredients. 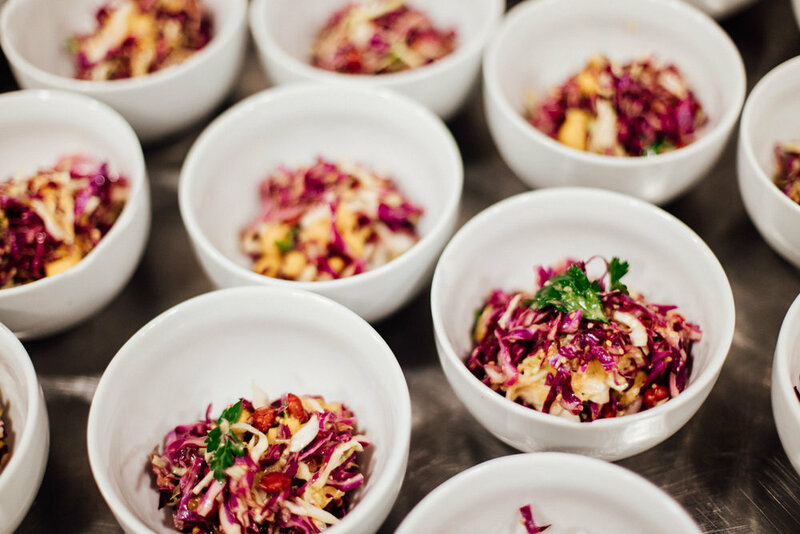 We offer free dinner for vulnerable populations and, soon, lunch for the the public, under the ‘pay for lunch, leave dinner paid” concept. Nourish the world with love, respect and opportunity. We prepare healthy, seasonal and delicious meals for individuals living in social vulnerability in Lapa, Rio de Janeiro. We cook with surplus ingredients, that are still good for consumption, and that would otherwise been discarded. Our staff consists of young gastronomic talents from underprivileged communities in Rio de Janeiro, who graduated one of the Gastromotiva programs. We run as a hub for social gastronomy, offering lectures and workshops to encourage healthy and sustainable habits and customs. In the space provided by the Rio de Janeiro's City Hall, we built the Refettorio Gastromotiva with the support of dozens of organizations and hundreds of individuals - a true multi-stakeholder effort. To fulfill the dream of building this project from scratch, Vik Muniz, the art curator, the Campana Brothers and Maneco Quinderé, volunteered to design the scenography and furniture. The architectural project is developed by Gustavo Cedroni of METRO Architects. These internationally recognized professionals collaborate with us as they believe in the power of food and gastronomy to transform lives and social realities. More than 80 chefs and souschefs from Brazil and around the world came to cook during the first phase of implementation of Refettorio Gastromotiva. They shared meals and knowledge to fight waste and strengthen the Global Movement of #SocialGastronomy. Each week new chefs are invited to share their spices. Follow our social networks to be connected! "CELEBRITY CHEFS TURN WASTED OLYMPICS FOOD INTO MEALS FOR HOMELESS"
“ESTRELAS DA GASTRONOMIA MUNDIAL CRIAM REFEITÓRIO PARA PESSOAS NECESSITADAS NO CENTRO DO RJ"
“USA EXCESSOS DE ALIMENTOS PARA FAZER JANTARES GOURMET PARA PESSOAS EM SITUAÇÃO DE NECESSIDADE"
”UM DOS MAIORES CHEFS DO MUNDO, ABRE RESTAURANTE SOCIAL NO RIO"
"RIO SOUP KITCHEN WHERE TOP CHEFS ARE USING LEFTOVERS TO CREATE THREE-COURSE"
You can collaborate to the transformation through social gastronomy. Click the button below and be part of the project!